Call Now and speak with our staff or our experts. $400 Verbal Opinion and follow the procedures for submitting your handwriting samples thereafter. After you receive a receipt, feel free to request an appointment that fits your schedule. In most cases, you will be speaking with Curt Baggett within 24-48 hours to discuss your case with you by phone. See entire rate sheet and more information here. Curt Baggett laughs with CNN news anchors Randi Kaye and Victor Blackwell about signature and handwriting analysis! CNN news asks about new Treasury Secretary Jack Lew’s signature. What does your handwriting tell everyone about YOU? 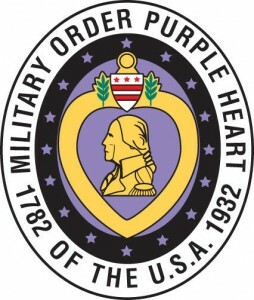 The Dallas chapter of the Military Order of Purple Hearts Club has about 300 members, limited to those who have suffered wounds in combat. The MOPH has their annual fundraising dinner to collect funds to help other Veterans who are in need on December 15, 2012. Over 200,000 veterans have benefited from MOPH to date, plus MOPH also helps disadvantaged children and often helps Vets by presenting Veteran claims to courts. Call Vice Commander Bill McMaster at 972-273-0286 or Adjutant Paul Reed at 214-265-1433 to make contributions. Curt Baggett is a nationally known public speaker and the number one handwriting expert in the USA for the last 15 years. Curt is the only Handwriting Expert in the USA who has examined documents and/or testified in every state in the United States and over a dozen foreign countries. Curt is accustomed to being number one wherever he performs. He was the number one sales manager in the USA as a young man with Johnson Wax (S.C. Johnson and Son). Curt was the number one sales manager in the USA with IDS (tax shelters, mutual funds, insurance). Curt was President of Atlantis Utilities, Inc., Optic Measurements, Inc. and Success Concepts International. Curt was even the President of his high school student body, once taught school and was a high school guidance counselor. He has advanced postgraduate studies in psychology at the University of Houston. Curt Baggett was Dean of the International School of Forensic Document Examination at Handwriting University for five years. Curt is a current member of the MOWW, Miltary Order of World Wars, VFW, Veteran of Foreign Wars, Sheriffs Association of Texas, Texas Police Association of Texas, American College of Forensic Examiners International, Forensic Expert Witness Association, National Questioned Document Association, Center for Forensic Profiling, IMS Expert Services, and World Federation of Handwriting Experts. At the Renaissance Hotel in Dallas, Texas, on December 15, 2012, at the annual MOPH meeting, Curt will speak briefly at the on “How to Enlarge Your Brain and Walk a Straight Line” and lecture on How to Spot a Forgery (which happens to be a title to one of the books Curt has authored), and how to analyze your wife’s handwriting (husbands too). Curt says he will to motivate, educate and entertain the veterans. Expert Document Examination is admissible in court. Curt Baggett uses his library; which is, most extensive and includes literature on questioned documents, forensic handwriting analyses and behavioral profiling. The equipment in my lab normally used for examination consists of a Sterio Star Zoon American optical 7x to 30x twin microscope, Micronta illuminated microscope at 30x, numerous magnifying devices, light tables, protractor and metric measuring devices, Pentex ME camera, Pentex Macro 1.4 mm 50 flat copy lens, overhead projector, and transparencies. This is to properly develop your case through thorough forensic Questioned Document Examination (QDE) in order to give you the results your looking for from the evidence in question. your forged or questioned document, will, contract, or signatures… we can help. Mr. Baggett works nationally and internationally!!! Don’t Wait Until It’s too Late!!! Top court qualified handwriting analysis experts (also known as forensic document examiners). Just scroll down and hire with confidence. Curt Baggett renders opinion on Prison Letters via skype on recent newscast. View the link below to watch his opinion and this intriguing forensic crime case 40 years in the making. What are the statutory requirements for a Will in Texas.